Can you believe I’ve been writing the Satori Blog for one year already? What started out as a way to share what’s going on in my life of design, decorating and organizing, turned out to be so much more! One thing I didn’t anticipate is the connection I would make with all of you through the process. I can see why so many people are stepping into the blogosphere! To celebrate Satori’s one-year blogiversay (or blog anniversary), plus four amazing years of business, I’ve teamed up with a few super talented ladies to bring you 5 Days of Giveaways! I figured, what’s a party without gifts? Today’s gifveaway comes from Divine NY, a design studio specializing in making something “old” look new by repurposing vintage saris, fabric and sari remnants with burlap and silk to create new one-of-a-kind home accessories such as sari throws, table runners, coasters and pillows. 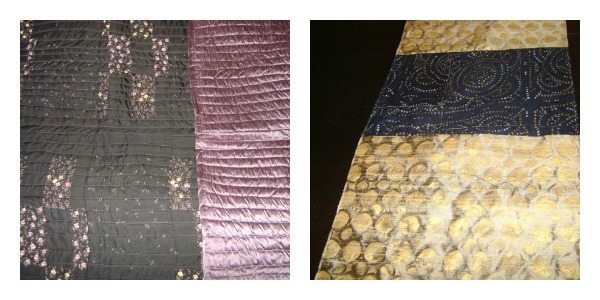 Rehka is generously offering a set of 4 coasters made from burlap and sari remnants to one lucky winner. These coasters are the perfect blend of “East-meets-West” creating a rustic, elegant and ethnically inspired table top accent. You can check out other unique decor items in Rehka’s Etsy Shop. I’m sending out a big thank you to everyone for your support this past year! Good luck! Also, be sure to come back tomorrow for Day Two of the Giveaway Event! Congrats on your blogiversary! Love the batik pillow. Thank you, Tiffany! I can’t believe a year has gone by already. I’m so honored to have regular readers like you! Strawberry Fields Sari Throw Blanket is beautiful. Congrats on the blogiversary! The Strawberry fields throw is gorgeous. Congratulations on one year of blogging! Congratulations, Shauna! Isn’t it incredible how time flies by? I am so happy to have connected with you, and really look forward to your posts! Congratulations on your blogiversary, how exciting! 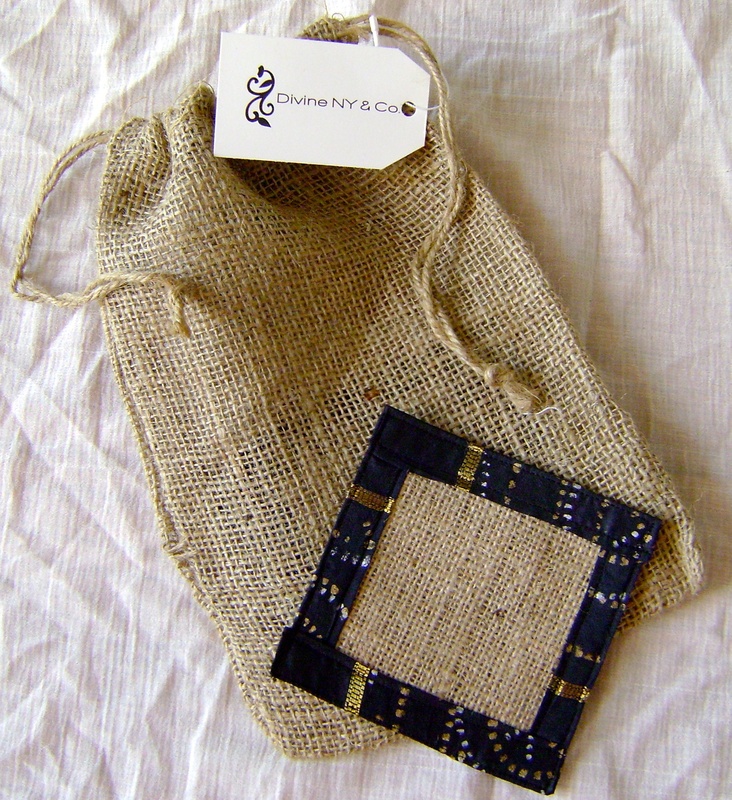 Love the Marigold Burlap Coaster with Sari Border! Thank you for an awesome giveaway! Congrats on your blog!! I really like the red batik print pillow. Love the table runners! Beautiful! I’ll take one of everything she offers like this t-shirt, http://www.etsy.com/listing/71910772/henna-style-screenprinted-t-shirt, any of the pillows, my mom would LOVE one of the table runners. Thank you, Sarah! And a big shout out for helping spread the word! I really love the hand dyed batic pillow! I love the henna style shirts. I like the Cinnamon Sari Throw Blanket!